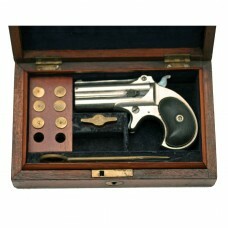 Stand of Arms is the trading name of Chris Berry, a lifelong collector and U.K. based dealer. 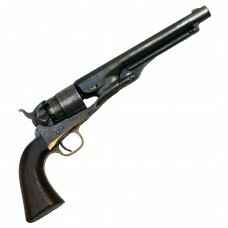 Well known and trusted on the Antique Arms & Militaria Fair circuit, Chris has more than 40 years experience specialising in Fine British, Colonial & American Antique, Classic & De-activated Firearms. Comprising Fine Quality items sourced from around the World, the stock is always varied and interesting, usually including a number of “Hard to Find” pieces. 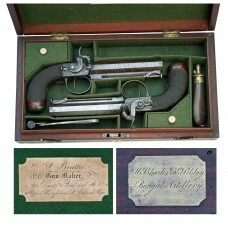 All items sold on this web site comply with current U.K. Law and may be owned as a “Curio or Ornament”. 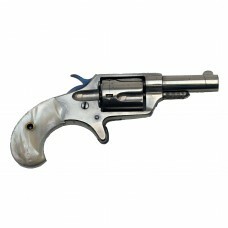 The purchaser is NOT required to possess a firearms license. Our service is to residents of the British Isles as such shipment is available within the British Isles. Delivery outside the borders of the British Isles is not available. Shipment may be possible to a shipping agent or representative appointed by the purchaser if that agent or representative is resident within the British Isles. In these cases the onward shipment, including any application requirement for export or import permits and payment of any Customs Duties, taxes or charges are the sole responsibility of the prospective purchaser. The responsibility for safe delivery of the item by Stand of Arms ends once it has been accepted by the agent or representative at the U.K. destination nominated by the purchaser. All orders are subject to a delivery, packing & handling charge. 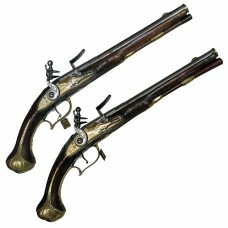 These charges are based on costs to Stand of Arms and are kept to a minimum. It is not our policy to profit unreasonably from these charges. Although we offer a U.K. delivery scheme, and trust & rely on the various delivery systems used to work properly, it must be understood that items are sent entirely at the customer's own risk. We will package the items well to prevent damage, and obtain all relevant despatch documents, but in the event of a parcel being lost in transit we will not be liable for such a loss. Insurance, to the limits quoted by the delivery company involved, against loss or damage is included in our delivery prices but offers only minimal cover. A specialist antique shipper can be used at the request of the purchaser, these shippers will insure to the agreed value of the item to be shipped but their charges are expensive (Multiples of the normal postage and packing charges). We accept All major Credit/Debit Cards (Not Charge Cards, e.g. American Express), Bank Transfers, Cheques & Cash where appropriate. All payments will be taken in British Pounds (££) Sterling. 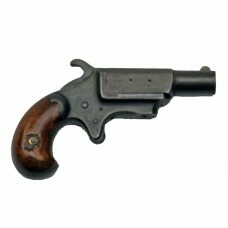 All items advertised on this web site are of original period manufacture unless stated otherwise. We offer a money back guarantee on all of the goods supplied subject to the terms listed below: Should you be unhappy with any item purchased, you should contact us by e mail within 7 days of receipt of the goods. The item can then be returned to us, provided that it is in the condition as sent, for a full refund of the purchase price. If an item is not notified to us within this time, it will be considered as being sold. We regret that postage costs are not refundable and it is the responsibility of the purchaser to return the item safely to Stand of Arms. No refund will be given for items “Lost in Transit” on their return to us. This refund offer does not apply to any goods purchased in error (including errors in translation of the text of this web site to another language), on the behalf of a third party, nor to goods that have been damaged, disassembled or tampered with after purchase. We supply items for collector's display purposes only & such items are not intended for actual use. We do not guarantee the their suitability for use. Any returned items paid for via Credit/Debit Cards will be refunded via Sterling.Credit / Debit Cards. Whilst every effort is made to establish the complete originality of our stock items, it is not practical for us to totally disassemble them and examine every small internal part. On that basis we cannot guarantee that no internal parts have been changed during the lifetime of the item. 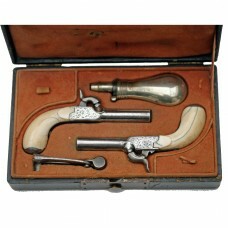 Beautiful Antique Cased Pair of Ladies Ivory Handled Percussion Muff Pistols with accessories. 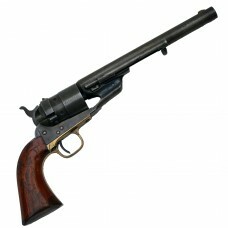 Colt “Richards Conversion” Army Revolver. 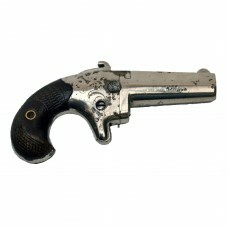 E. Allen & Co. .41 Rim Fire Derringer.